Sportsbetting.ag was established in 1999 and has since grown into one of the biggest gaming operators in the world. They have over one million player accounts. At the core, Sportsbetting.ag is a sports book, but the company offers a full range of online gambling products.They include Poker, horse racing and an online casino. All are easily accessible from the same user account. The company is licensed in Panama and Antigua and currently has no country restrictions, meaning that it is open to everyone, even players from the U.S. The sportsbook offers betting lines on just about any sport. All of them including baseball, football, basketball, hockey, soccer, rugby, golf, boxing and MMA. Players can also take advantage of MLB dime lines that go up to -199. The -105 lines that are available on Fridays during football season. You can also mix things up with prop bets, future bets and by putting some action on Japanese League Baseball. Sportsbetting.ag recently launched its improved poker room. It can be installed on Windows and Mac OS operating systems. The poker room offers hourly free rolls. There are many of guaranteed tournaments (over $150K in guaranteed monthly winnings). Cash games at every hour of the day. With thousands of players at the tables every day, and even heavier traffic during peak hours, you will surely find great poker action whenever you log into the Sportsbetting.ag poker room. 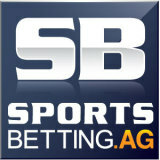 Visit http://www.sportsbetting.ag/promotions for our list of current poker promotions. The online casino, unlike the poker room, runs from within your browser, meaning that there is no software to download and install. The casino offers a wide variety of games, including Blackjack, Craps, Roulette, Table Poker, 5-reel Slots, 3-D Slots, Video Poker. It also has specialty games like Keno and Video Bingo. Most table games have bet limits that range between $50 and $250, but you can up the ante and wager up to $500 at the Blackjack and Roulette tables. The games have a great look and feel, mixing good graphics, vibrant colors and responsive game play. The racebook also offers up to 7% in daily rebates on internet wagers, with telephone wagers earning a 4% rebate. There is no limit on how much you may collect on rebates and no minimum amount of wagers that needs to be placed. One of the coolest things of Sportsbetting.ag is their ‘Bonus For Life Guarantee’, which is valid in every section except the racebook. Players can get a 25% bonus up to $1000 on every qualifying deposit, and it’s only tied to a 6X rollover. Every individual section also has its own bonus offers and promotions, with the casino for example offering a 75% reload bonuses on every deposit, up to $3,000. And if you’re a fan of Slots, you can take advantage of this massive Slot Bonus: 100% up to $5,000. Keep in mind that the minimum deposit amount is $100 and that the offer is tied to a 50X rollover. At Sportsbetting.ag you can use a number of safe and secure payment methods to deposit into your account. The available methods will vary by country of residence and they include credit cards, e-wallets like Skrill (MoneyBookers) and Neteller, MoneyGram transfers, Western Union transfers, checks and EZ Vouchers. The company promotes the use of alternative payment methods by offering bigger bonuses as incentives. When using a credit card, you’ll only get a 15% bonus with the Bonus For Life promotion. Use BitCoin, Western Union, MoneyGram or Neteller however, and you’ll get the regular 25% bonus that is tied to the promotion. Players who are looking for help can start by looking through the extensive FAQ section that is listed on the Sportsbetting.ag website. If that’s not enough however, you can always send an e-mail to cs@sportsbetting.ag. We put the customer service team to the test and they passed with flying colors by replying within a few hours to every inquiry we had – impressive considering the amount of players who are active at Sportsbetting.ag. Our favorite support method however is the live chat, which is just one click away. Log in, select what you want to chat about and a customer service rep will be helping you within seconds. It’s the fastest and most effective method of support that is currently available.